If you need a good mouse that doesn’t take up to much space or if you need something that is ergonomically better for you then you have to look at this Rollermouse. It is not a simple mouse like you are use to. This mouse works with a bigger roller that you can control with one finger and of course it offers the scroll wheel and 5 programmable buttons and it even has an arm rest. 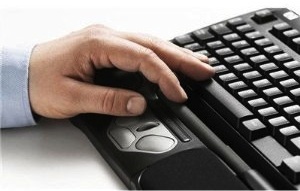 The mouse slides under the front of your keyboard just like those arm rest things you see. 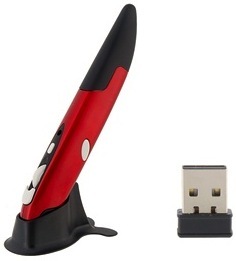 I would say need a new mouse go check out the Contour RollerMouse PRO2.